Global coexistence with the rise of China is the most pressing strategic challenge of the current era. Failure by both China and the United States, the two great powers in East Asia, to manage China’s rise has the potential to destabilize not only East Asia but also global politics. This is especially the case because East Asian politics affects the vital interests of China and the United States and because East Asia is the world’s most dynamic and important economic region. US and Chinese inability to manage China’s rise and their bilateral strategic relationship also has the potential to lead to heightened regional instability, including trade wars, arms races, crises, and great-power war. Robert S. Ross is a professor of political science at Boston College and an executive board member and associate at the Fairbank Center for East Asian Research, Harvard University. From 1994 to1995, Professor Ross was a Fulbright Professor at the Chinese Foreign Affairs College in Beijing and in 2003 a visiting senior fellow at the Institute of International Strategic Studies, Qinghai University. His research focuses on Chinese use of force and deterrence in East Asia, the implications of the rise of China on East Asian security, and the role of nationalism in Chinese security policy and US-China relations. 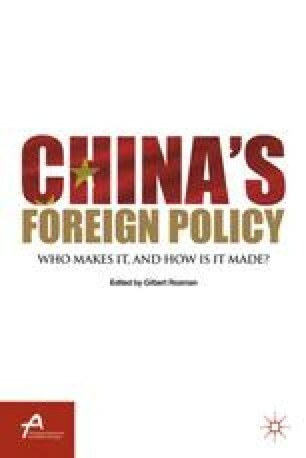 His recent books are US-China-EU Relations: Managing the New World Order (Routledge, 2010) and China’s Ascent: Power, Security, and the Future of International Politics (Cornell University Press, 2008). He received his B.A. in history from Tufts University and Ph.D. in political science from Columbia University.